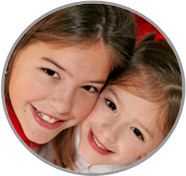 Many of the other Nanny Agencies in Staten Island, NY do not hold a candle to the service and level of commitment the staff at ABC Nanny Source provides. 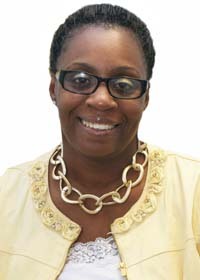 Althea enjoys working with Nanny Agencies in Staten Island NY and helping families fulfill their childcare needs! "If I was asked to describe in one sentence the reason I have chosen to be in the Nanny profession over any other it would have to be because I enjoy working with families and helping them to meet their goals they have set for their children. I have cared for numerous children thought out the years. I have chosen this profession because I enjoy working with families and children. I have been serving in some form of childcare experience for over 13 years and can honestly say I enjoy what I do! I feel that children are a gift. I believe that is important to nurture them to develop in all areas in their life so that they can be successful in the future. It is such a joy caring for children and watching them develop. My goal as a Nanny is to provide exceptional childcare for the family. Whatever the goals are for that particular family I will strive to accomplish them. I am willing to do housekeeping that includes light cleaning, and cooking for the children. If I had to describe myself in five adjectives I would say that I am I am loving, caring, kind, compassionate, and motivated. Activities that I would like to incorporate in the daily plan for the family I care for would include indoor and outdoor activities, as well as both fun and educational activities. If asked to describe the perfect family seeking a Nanny like me I would hope they would be friendly and kind." "I highly recommend Althea! I have worked collaboratively with her. I assisted Althea from 2005 until her sad departure in June of 2008. Her dedication and commitment to her students at this school was phenomenal! Althea has a wonderful rapport with people of all ages, especially with children! Her ability to connect with her students and her talent at teaching them simple concepts, as well as more advanced topics are truly superior. She has excellent written and verbal skills, is extremely organized, reliable, and very articulate. Althea can work independently and is able to follow through to ensure the job is done. She accomplishes these tasks with great initiative and with a very positive attitude. I recommend her to your family without reservation!" "Althea directly reports to me in the position of a pre-kindergarten teacher. I am personally involved with her training as well as providing supervision for her. She is an integral part of our teaching staff. Althea is a team player and is supportive of the school community. This is evident with her participation at professional development sessions and school related events. Additionally, Althea has provided a tremendous amount of leadership and guidance with her assistant teacher! She is very organized and is task oriented; she organizes her classroom and routines effectively to achieve the goals that she has set for her students. I have also found Althea to be very reflective and open to feedback. In closing, based on my experience working with her, I can unreservedly recommend Althea! I assure you that she will make an outstanding contribution to Nanny Agencies in Staten Island, NY!" "Althea worked at our day care center as a group teacher for approximately two years. She was an enthusiastic and competent staff member from the first day! Althea is creative and energetic in her interactions with children. She has demonstrated time and again that she is supportive and concerned with co-workers and parents. She is known to go beyond the parameters of her job description, assuming additional responsibilities always making sure to ensure the safety, nurturing and growth of her students. I have no doubt that Althea will be an exceptional Nanny and an invaluable addition to your family! She is truly missed by us all!" "As the school librarian, I have had the great pleasure of working with Althea for four years. I have witnessed daily, her dedication to her students' learning and her love for teaching is clearly evident in all her interactions with both students and staff! She is not afraid to work hard and will always go the extra mile to make sure that her students have all the resources they need for successful learning. Althea is a conscientious educator who is always preparing lessons, planning projects and developing bulletin boards when not working directly with her students. I have seen her skillfully handle many situations with her students as a "teachable moment" and that is an admirable quality. She is caring and kind, yet firm with her students while holding them to the highest standards. I believe Althea will be an asset to any Nanny Agencies in Staten Island, NY! You are sure to benefit greatly from her expertise and experience!"